Holbrook Farm Market is now open for 2016. It’s an especially exciting year at the farm because The Holbrooks have passed the torch on to their energetic young farm manager Jessica Wong. We stopped in for a grand opening to celebrate and, of course, to stock up on local goodies. Jess has been a part of the farm for four years, gradually taking on more responsibilities. Two years ago she became the manager and now it’s all hers. Sure, Mr. Holbrook will still be around, no doubt to offer a helping hand and his two-cents on things, but hopefully he and the Mrs. will be able to enjoy some well-earned relaxation. 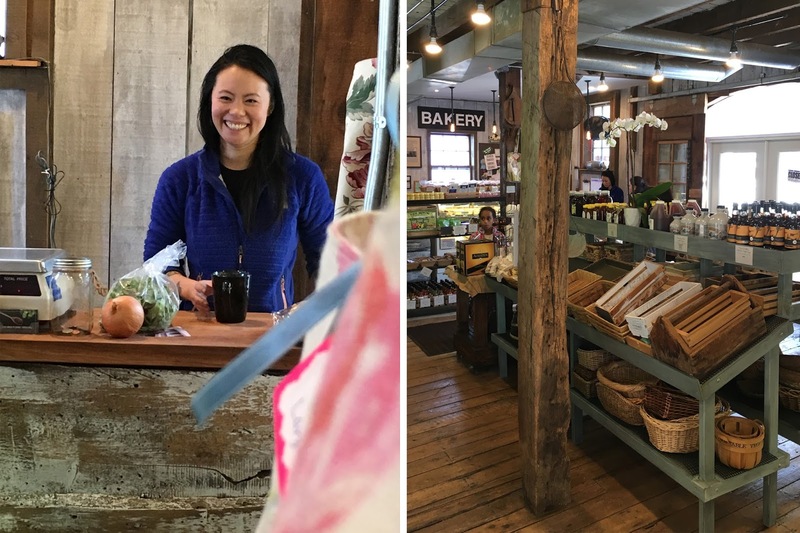 Jess has completely transformed the inside of the farm’s iconic red barn market building into a quaint country space with a nice organized flow. 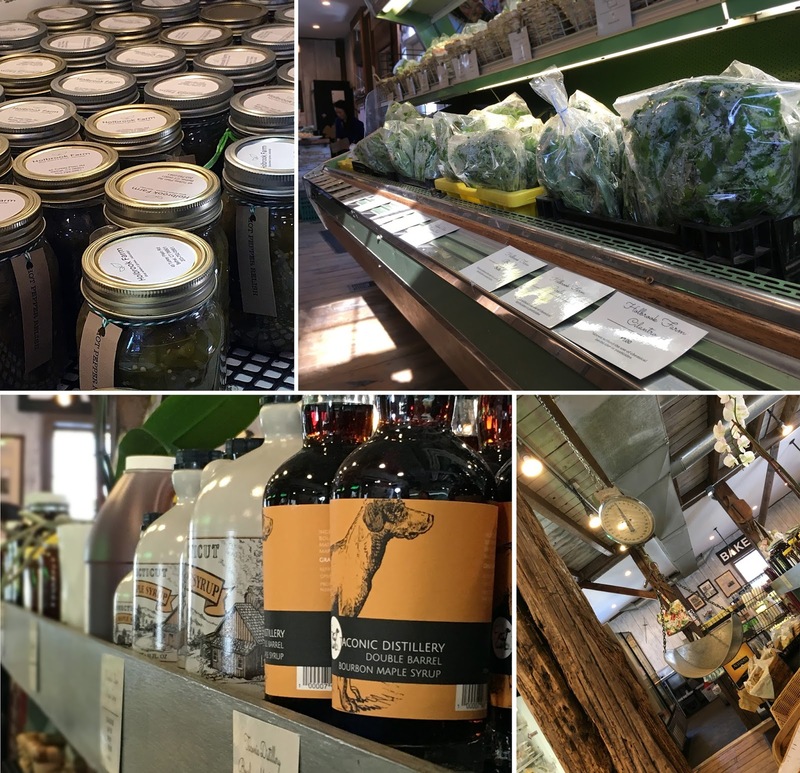 Right now there are lots of greens and other greenhouse-grown produce items, a variety of house-made pickles, pepper jam, and hot sauce, plus a whole range of goodies sourced from other local growers and artisans. We picked up three bags of greens, some carrots, and fresh eggs, plus some honey Greek yogurt by Hastings farm and a package of country sliced bacon by Mountain Products Smokehouse. Jess plans to keep the market going year round now and hopes to start doing more on-farm events. She’s also started a CSA-style gift card program. The cards have no expiration date, are refillable and are redeemable for everything she sells at the farm market. Stop in or give a call to find out more. We are longtime customers at Holbrook Farm and we know Jess is going to rock it. If you haven’t already, pay Jess and the farm a visit. Currently, the farm is open Monday through Saturday from 9 am to 5 pm, and closed on Sundays. A fabulous job on the market and the baked goods, jellies, cheeses, eggs, greens are all amazing!